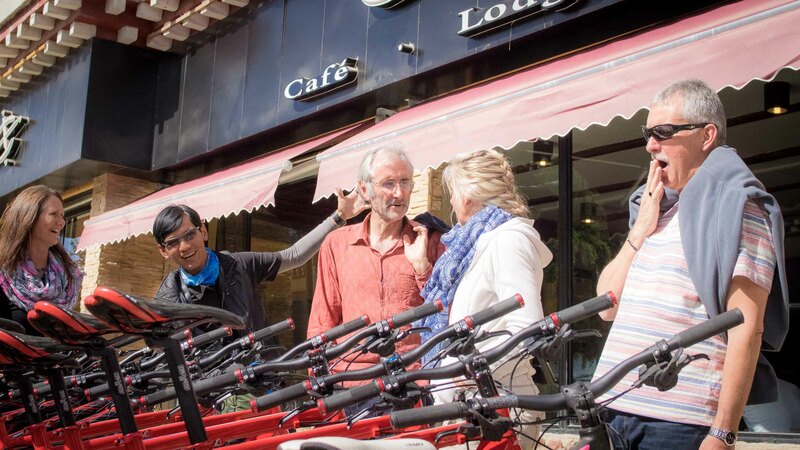 Having browsed our selection of Asian tours you will hopefully be eager to join us discover just what it is we love so much about cycling in this part of the world. If this is to be your first PaintedRoads tour you need to create an account. To this end you will prompted ever so gently to provide some basic information as indicated on the registration form. You can then complete the basic requires details in the “Persons” section for each person in your party, including your good self. Clicking the blue “Submit button at the foot of the page creates your account and a password will be emailed to you. If you are a return guest you will now find yourself in a position to log into your existing account where you can move directly to adding the basic required info for each person in your party, including of course your good self. The details required for your initial registration are basic and clearly indicated. You can then return to your account as and when you have further info for us such as insurance details (compulsory), flight details, bicycle needs, extra nights required, etc etc. You can also change your password and amend your personal details. If you're not quite ready to book you can also simply 'register your interest' with us from th Booking tab and we will keep you updated by email with news of the tour, changes and other relevant information. No obligation at all. If there are less than four people ready to book at the time you reserve your places we will ask you to remain patient until we have four reservations. As soon as we have four reservation we will contact you and ask for a £200 deposit per person. We will ask you to refrain from booking your flights until we have four deposits paid. As soon as we have four deposits paid the tour will be guaranteed to run and we will give the go ahead to book time of work, book flights, and get all excited about your super forthcoming holiday. In the very unlikely event that we have your deposit but fail to collect the three others we will of course return your deposit in full. For this reason it is imperative you do not buy air tickets until we give the go ahead. Please be aware that his has never happened to date and we are careful to ensure that all four people are committed before asking for deposits. If we already have four confirmed bookings the tour will already be guaranteed to run and we will ask for your deposit and give the go ahead to book your flights etc. at your convenience. We will provide the details of UK bank account into which we will ask you make your deposit payment. We purposefully keep this amount down to the sum of £200. The deposit is simply to ensure that people are serious about their tour. We will contact you during the month leading up to your tour and request full and final payment. Again the payment can be made via bank transfer to the same UK bank account. If you feel more comfortable paying cash on arrival you are welcome to do so.